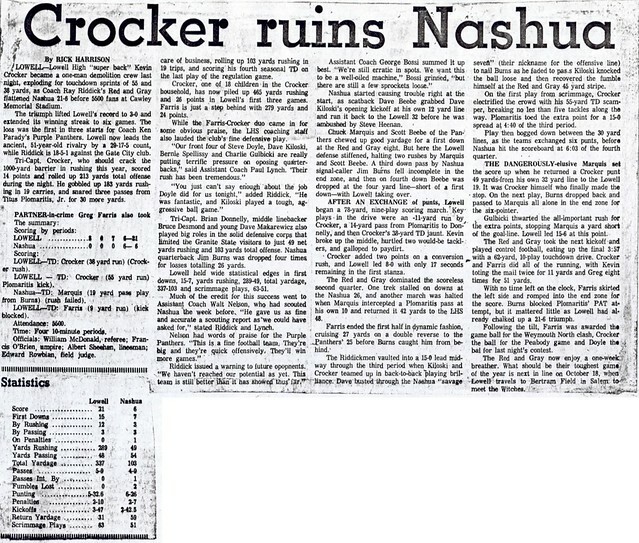 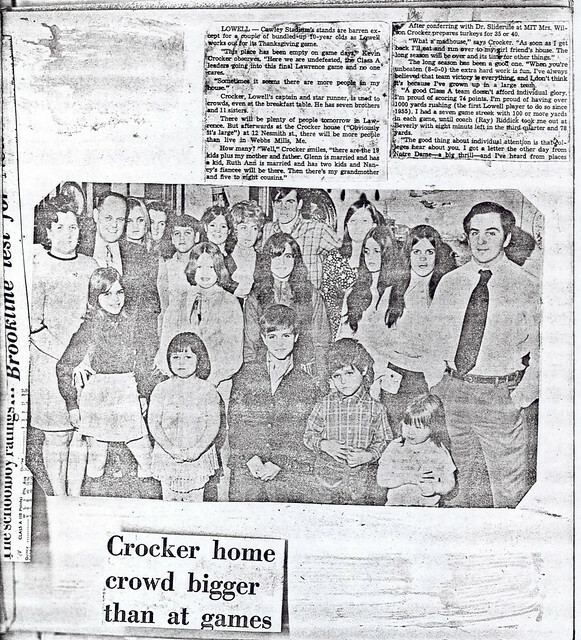 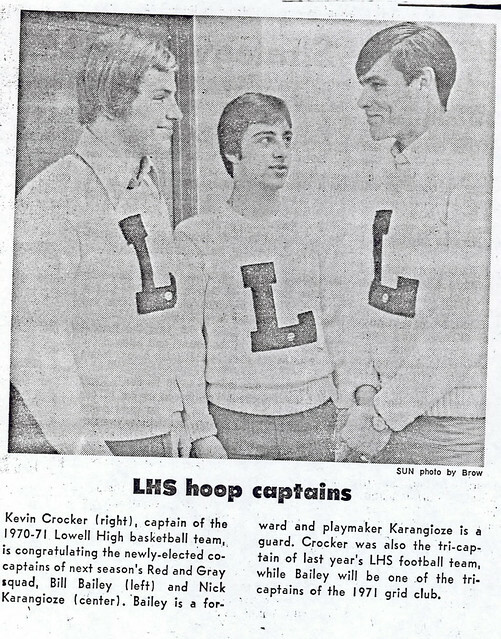 Leadership and dedication ore two qualities exemplified by the career of Kevin Crocker. 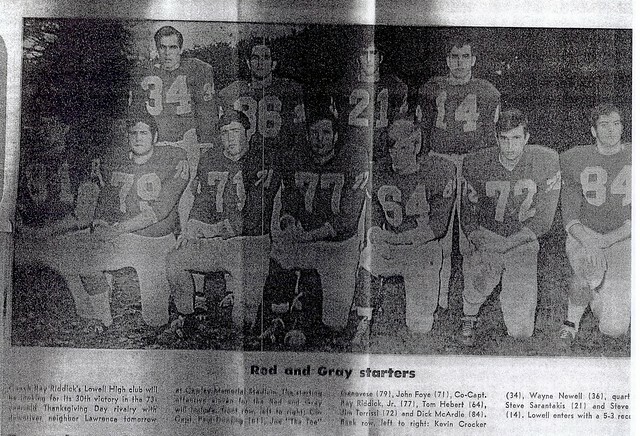 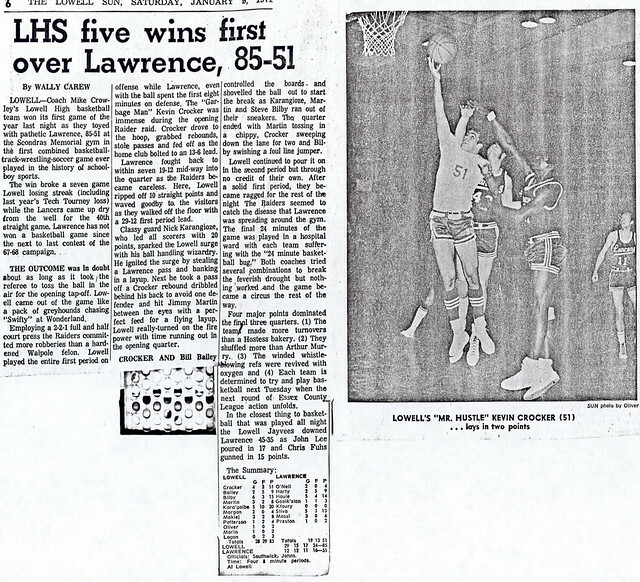 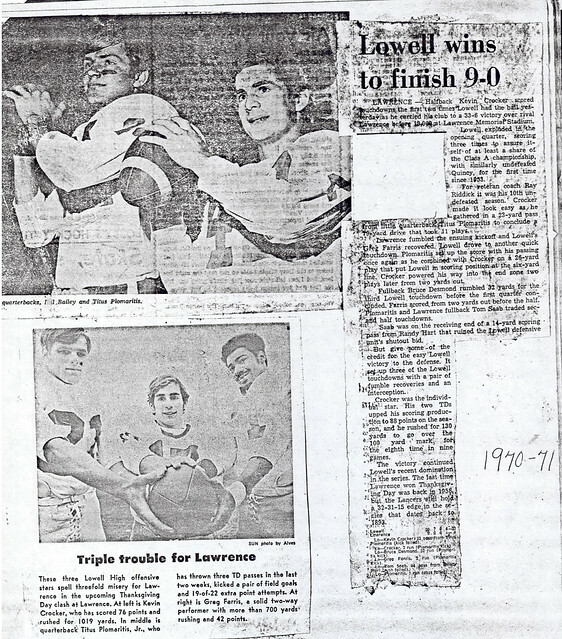 A rare four-sport athlete, Kevin performed as a member of the Red Raiders football, basketball, track, and baseball teams during his four years at Lowell High School, serving as Co-Captain of both the football and basketball teams. 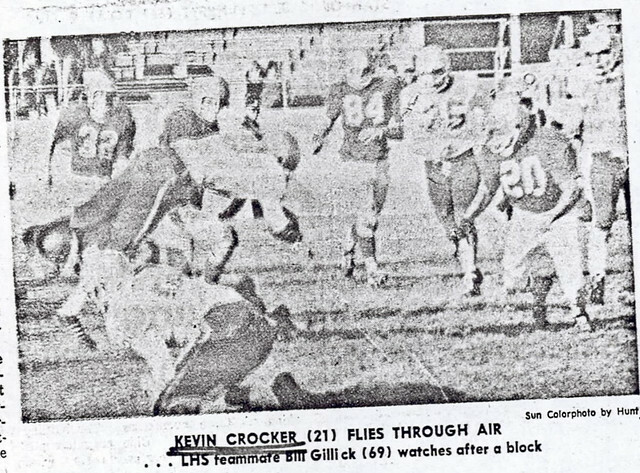 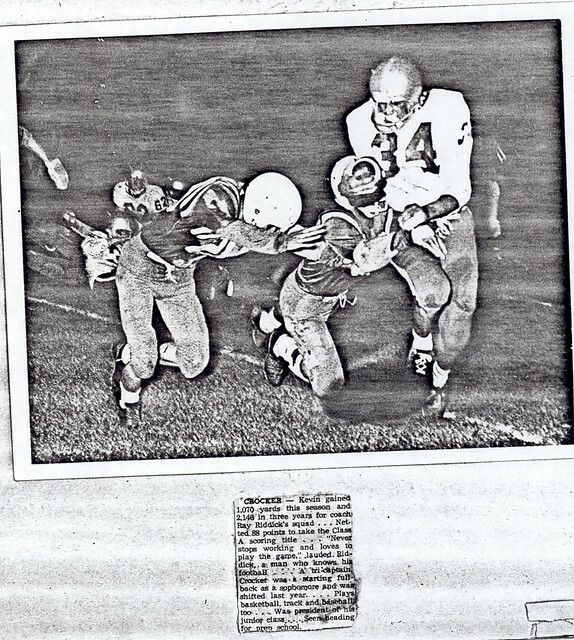 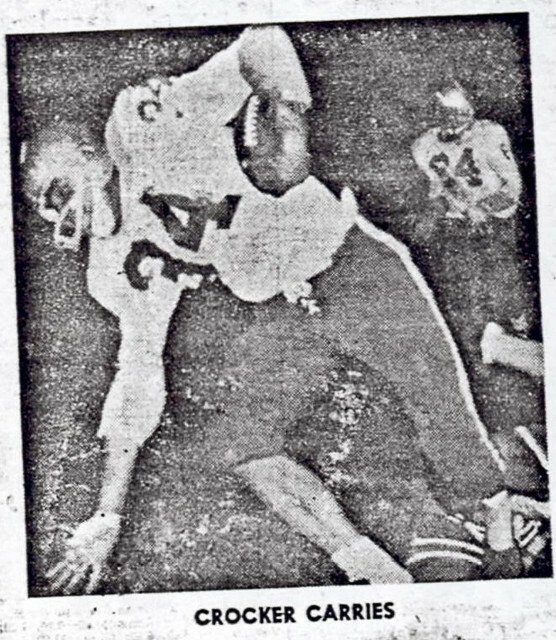 As a three year starter in coach Ray Riddick’s offensive backfield, Kevin totaled 2,146 yards rushing and 162 points, including 1,197 yards rushing and a Class-A leading 88 points during his senior year. 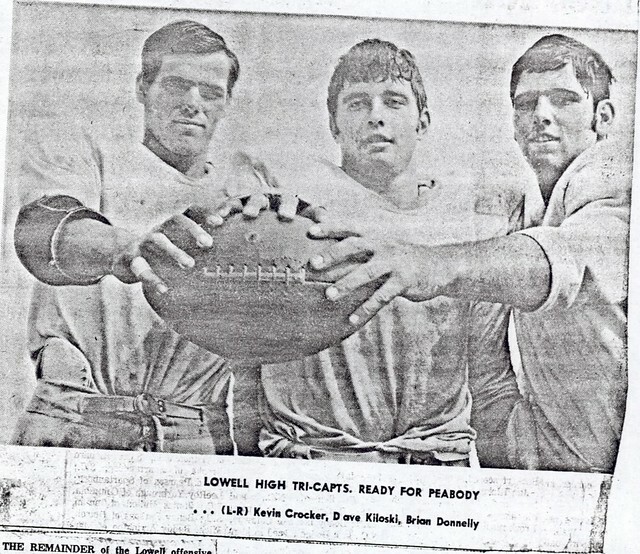 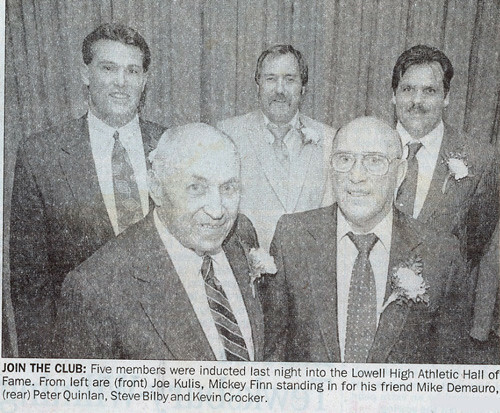 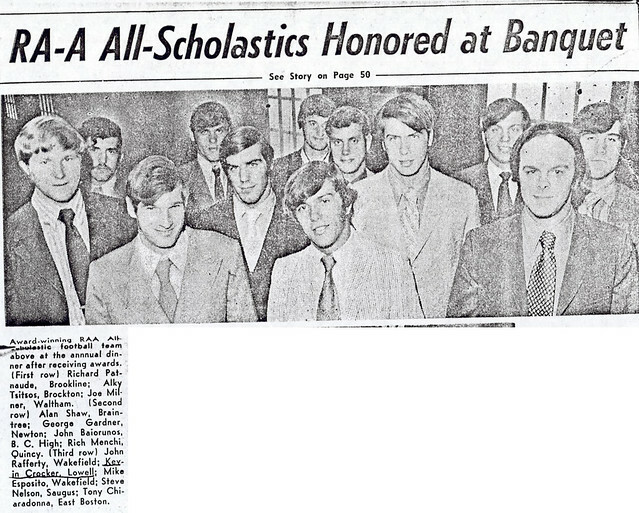 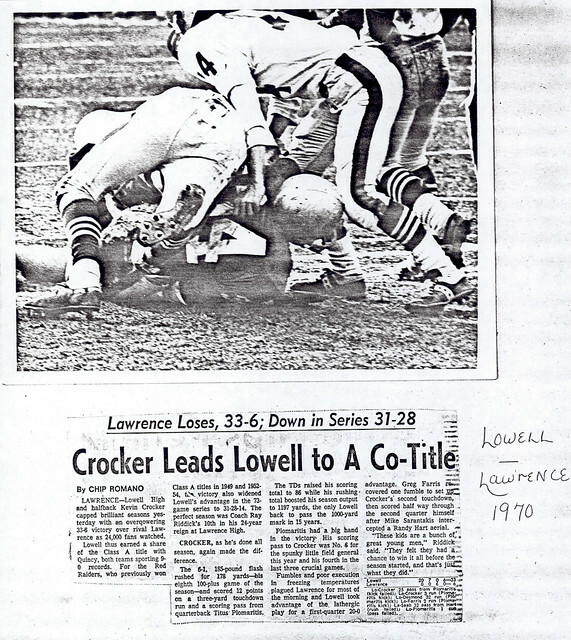 Kevin was named as an All-Scholastic that season, leading Lowell to an undefeated 9–0 State Class A Championship. 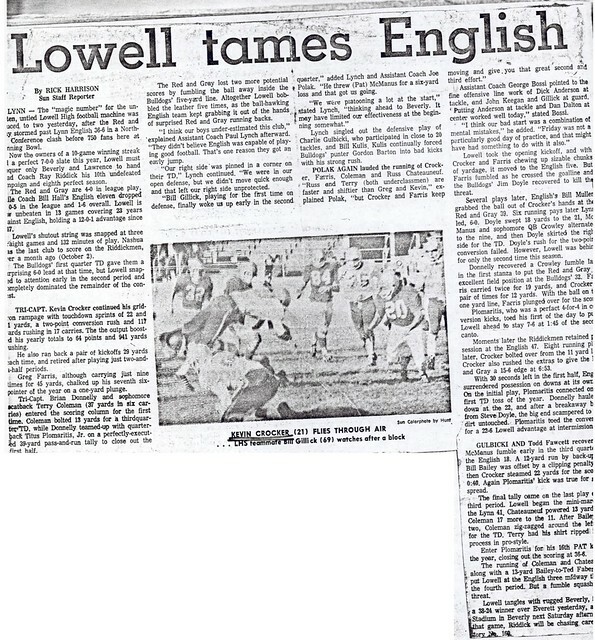 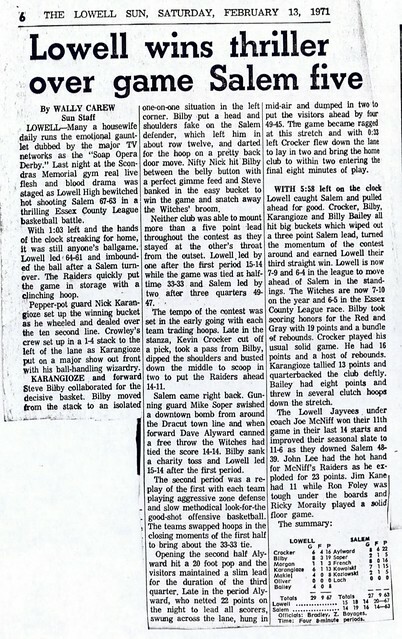 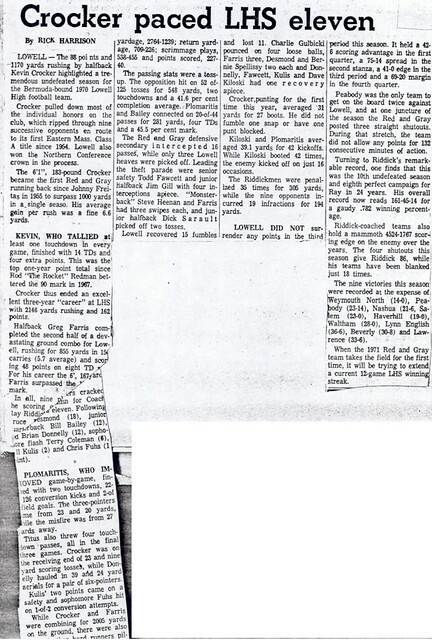 Kevin was a two-time Lowell-Lawrence game MVP He was also named MVP of the Lowell Sun Charities All-Star game. 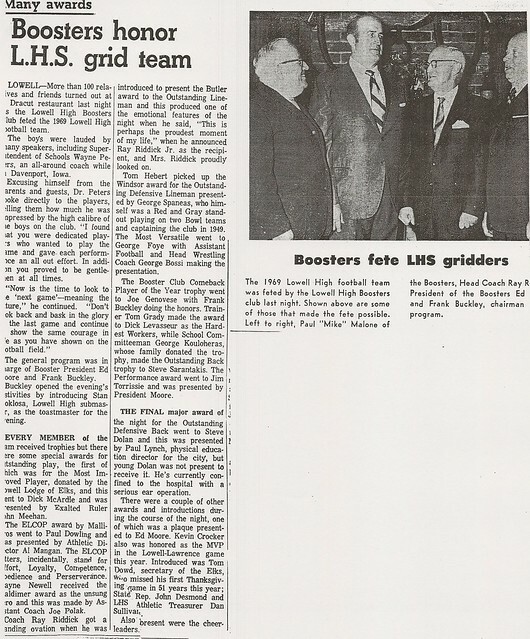 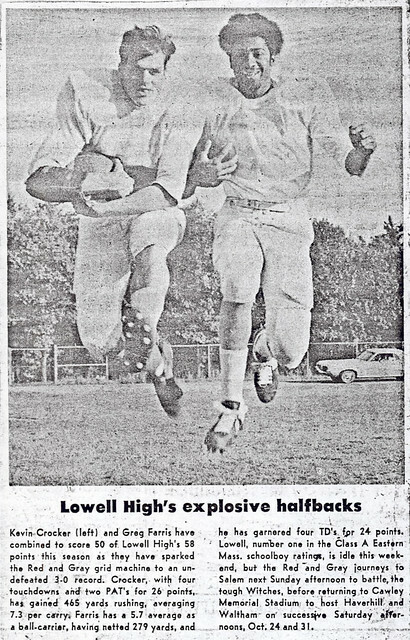 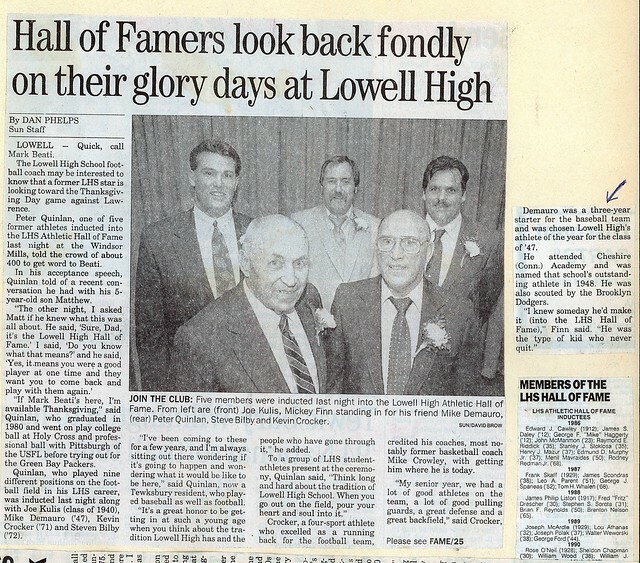 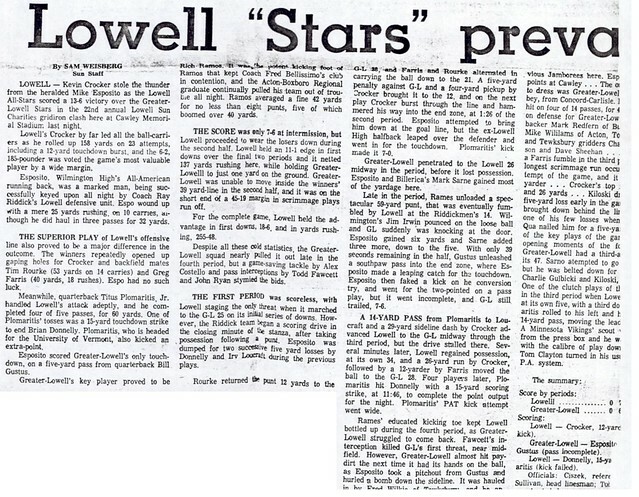 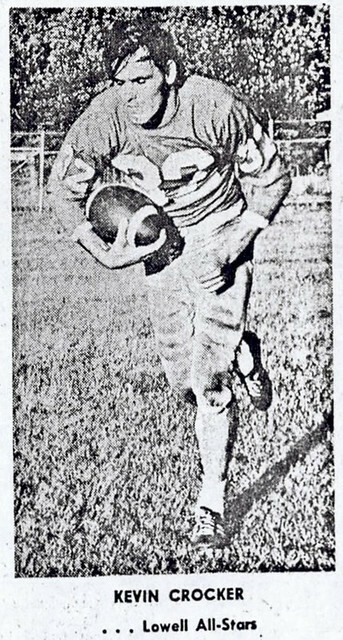 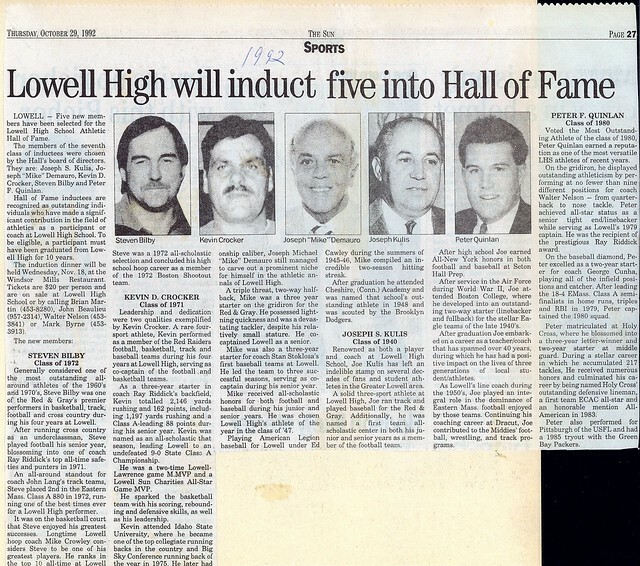 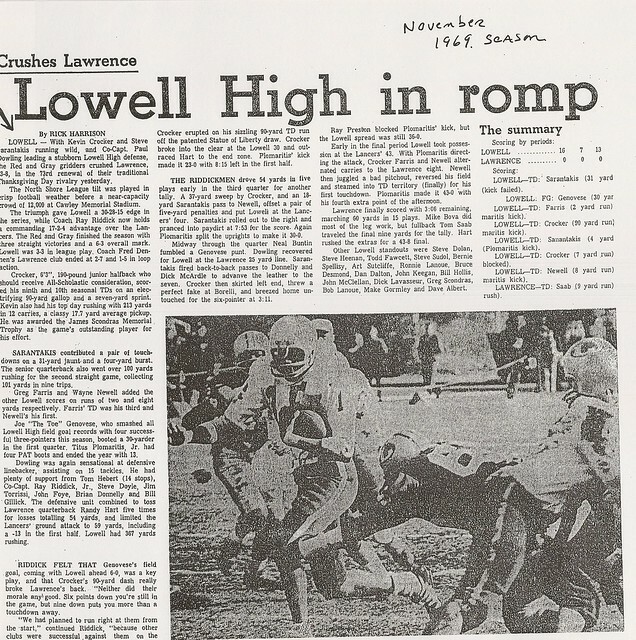 Kevin is widely regarded as one of Lowell High School’s all-time great running backs. 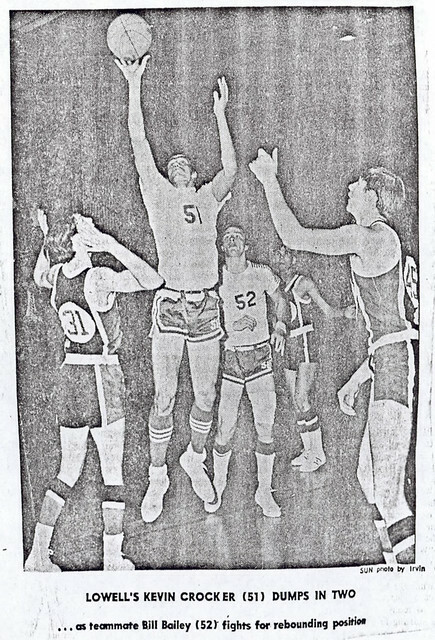 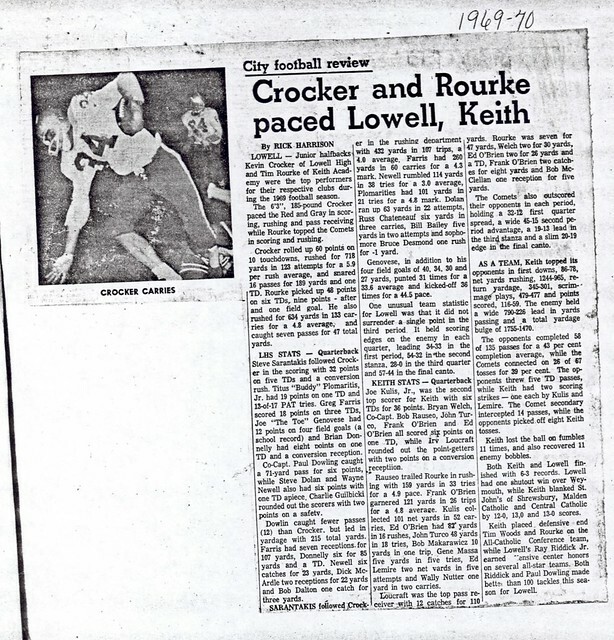 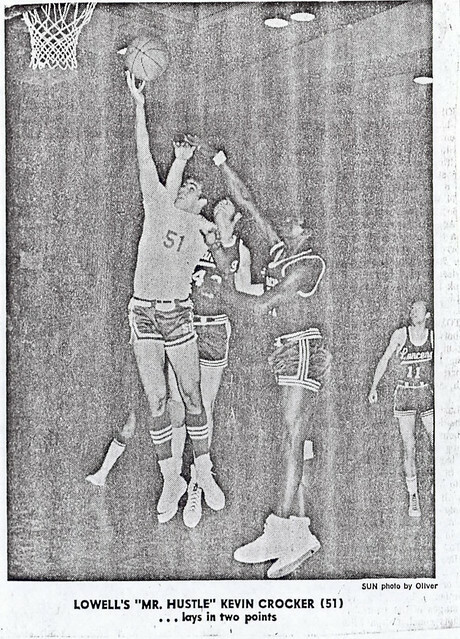 Kevin was an important cog in coach Mike Crowley’s Red and Gray basketball team, sparking the team with his scoring, rebounding, and defensive skills. 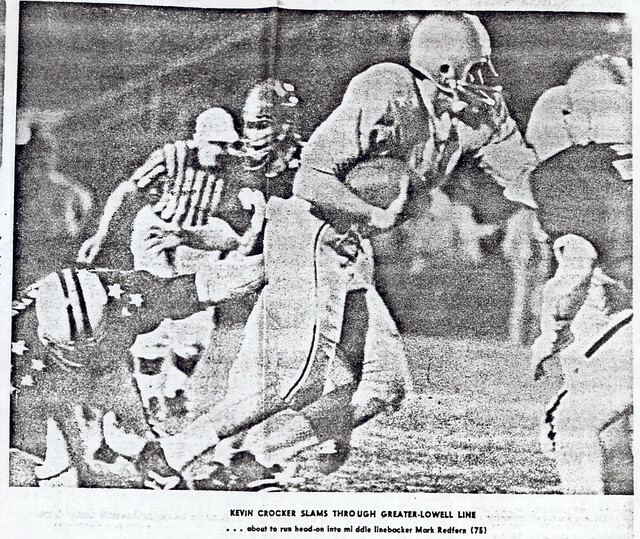 Coaches Riddick and Crowley both cited Kevin’s dedication and leadership as important factors in their team’s successes. 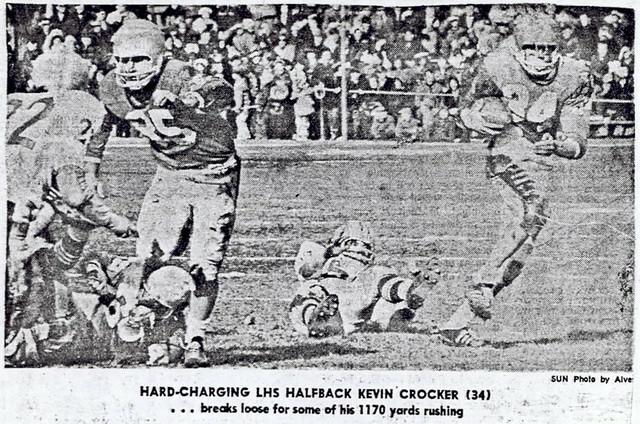 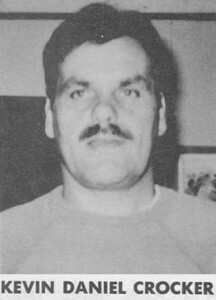 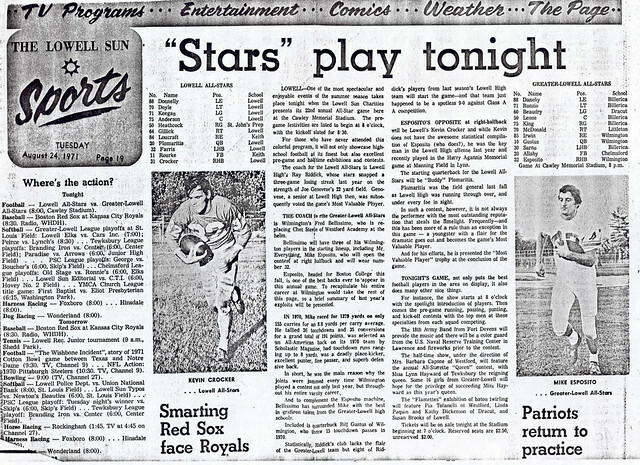 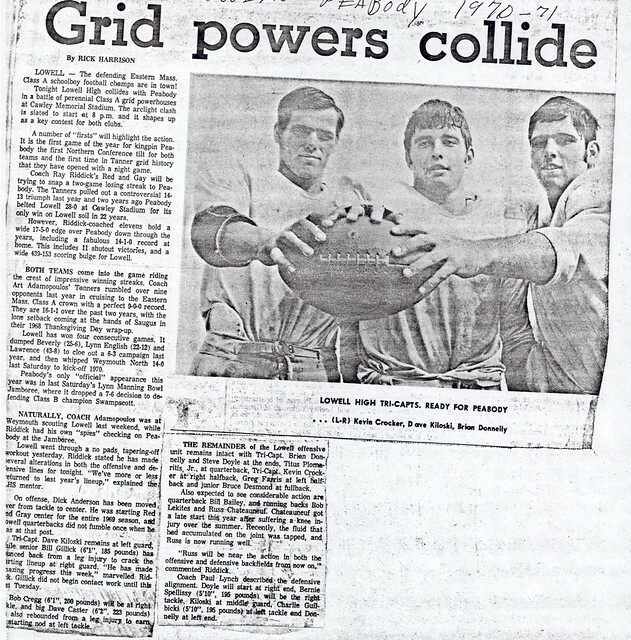 Kevin attended Idaho State University, where he became one of the top collegiate running backs in the country and big sky conference running back of the year in 1975. 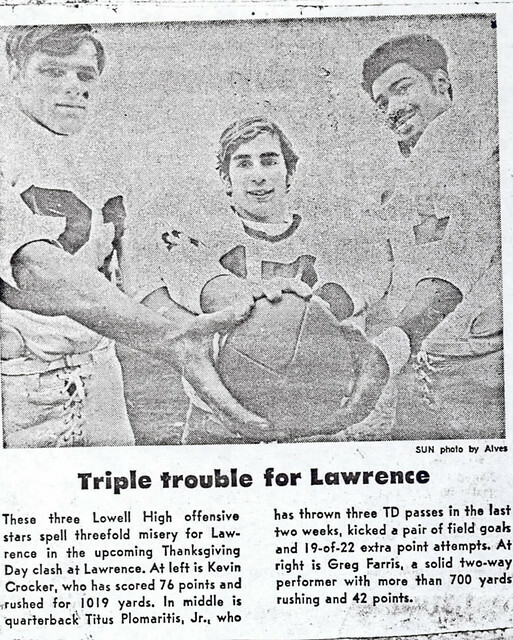 Kevin had professional tryouts with both the Denver Broncos and Toronto Argonauts.